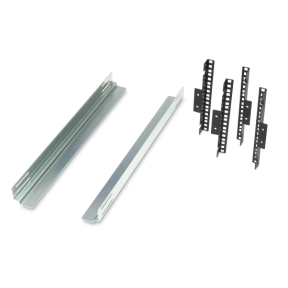 Equipment Support Rails are ideal for mounting non-rack mountable equipment in a rack. These rails can support equipment measuring up to 16.75" (43cm) to 17.7" (45cm) wide and has a maximum weight of 200 lbs/91kg. The Support Rails attach to the side mounting holes of the vertical mounting rails.